True life, I very rarely get the chance to get out of town to do much of anything between the two jobs and ya know, life. It was on my New Year’s Resolution list, however, to make it a point to travel a little bit more this year and so I am starting this fun new ‘Next Stop’ series here on the blog to document the trips that I get to make this year! I’m very excited to look back at the end of the year at all the cool places I had the chance to visit, people I got to meet, and yummy food I had the chance to try out. So here goes nothing! 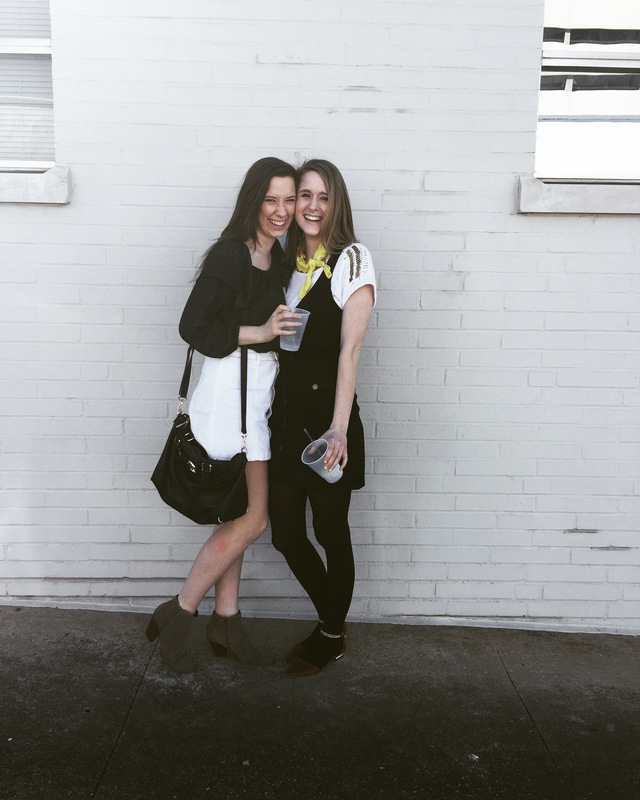 This past weekend my boyfriend and I took a little step away from the normal weekend routine and decided to make a quick trip to see my little sister in Birmingham! We also have never really taken the opportunity to explore this city before, individually or together, so that was on our agenda to accomplish in the few hours we were going to be there, as well. We headed out for our day of adventure around 8 am. Coffee, smiling faces, and a list of possible itinerary options in hand. Once we arrived in Birmingham, first on our list, as always, was checking out the local coffee scene! I truly believe a city’s coffee is one of the best ways to get to know the area so anytime Curt and I explore a new place, ever, we always start with coffee. We tried out Octane Coffee and I have to say, although they didn’t have any Bri-friendly coffee drinks, their tea was incredible! 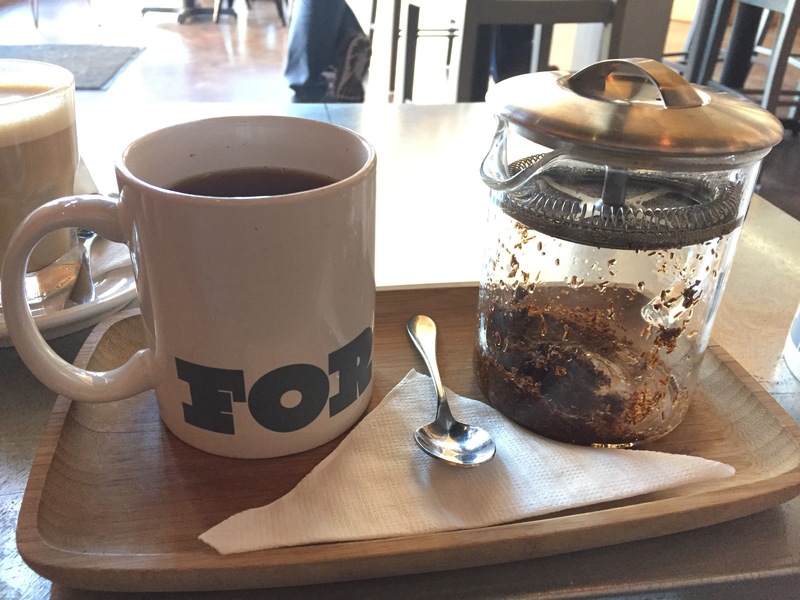 I had never had rooibos tea before but I loved it…and look at this cute little set up! Following our delicious coffee/tea experience we headed to the cutest little local restaurant called Real and Rosemary. 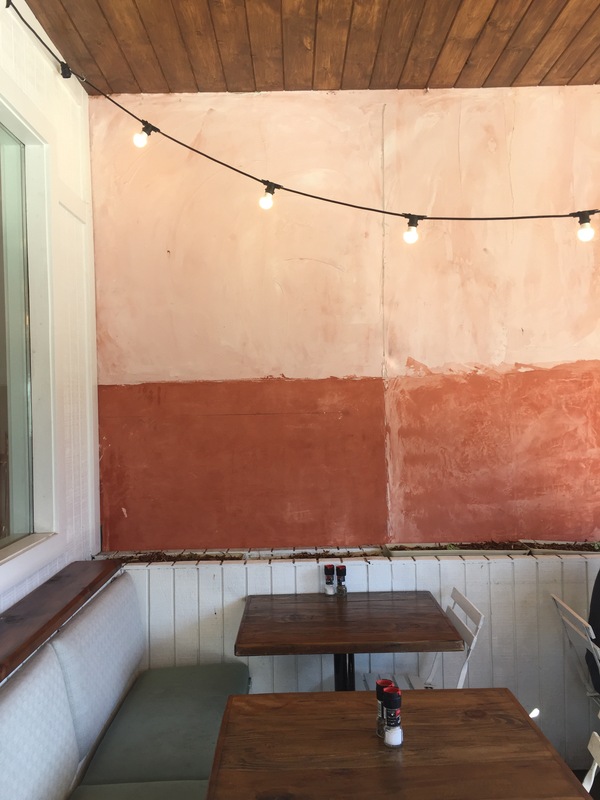 It was the most eclectic and artsy little restaurant; it honestly looked like it was a cafe straight out of a little beach-side town! The food was a little pricey but MAN. It was so good. I got a turkey sandwich with lettuce, tomato, cucumbers and dijon mustard….not technically completely paleo compliant but hey, I have to live a little fun sometimes, am I right?! Needless to say, it was DELICIOUS and I am counting down the days until I can go back and have another one. JUST LOOK AT HOW GOOD IT LOOKS, PEOPLE. After spending a little bit of time exploring my sister’s new stomping grounds, we ventured off to the Summit; a massive shopping center just outside of the city. 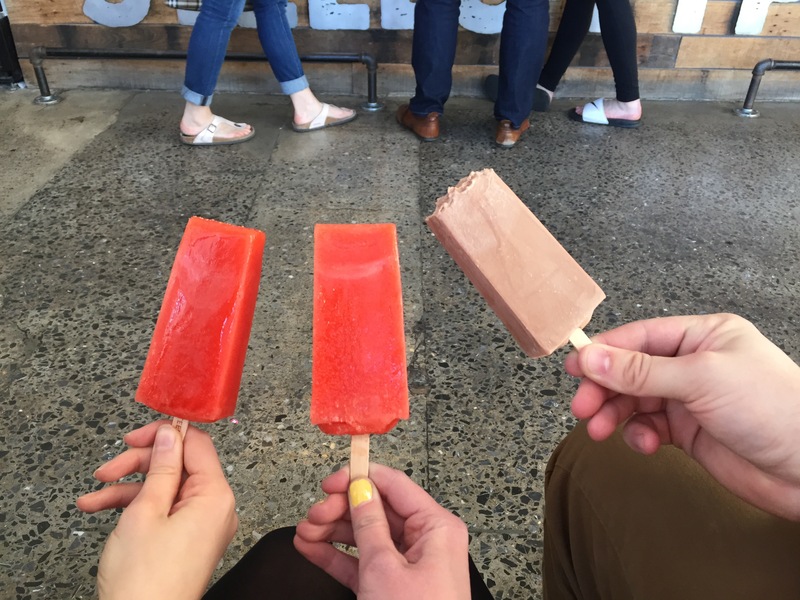 We checked out a few little stores before deciding to head to Steel City Pops for some delicious popsicles (a nice little mini-meal) to tide us over until dinner. Ash and I both got the strawberry lemonade popsicle and y’all, they were heavenly. It didn’t melt too fast, and I somehow didn’t end up toooo sticky at the end of everything. So I’d say it was a successful and definitely sweet end to the day!